The Division of Languages, Literature and Composition offers Bachelor of Arts degrees in English and Spanish, as well as minors in African American Studies, English, French, Spanish, German studies, Film studies, Creative Writing, Global studies, and Spanish Translation/interpreting. All degree programs are designed with small classes and one-on-one guidance from instructors and advisers to help students develop the skills in critical thinking, oral and written communication, research, and analysis that are essential to 21st-Century careers. Find examples of excellent student projects and publications in the English Literary File and in the Upstate Research Journal. Our award-winning faculty members are published authors, leaders of national and regional organizations, working translators and interpreters, and global travelers committed to opening up a world of opportunity for our students. For more about our faculty members, go to the Meet Our Faculty web page. Languages, Literature and Composition programs prepare students for careers in law, professional/technical/creative writing, editing, publishing, translation and interpreting, library science, researching, business and non-profit administration, intelligence and military analysis, public relations, the film and popular culture industry, informatics and data analytics, community outreach, as well as teaching both in the US and abroad. Our graduates have gone on to complete masters degrees, doctorates, law degrees, and even pharmacy degrees at American University, Brandeis, Brock University, Clemson University, John Marshall Law School, the Medical University of South Carolina, Mercer University School of Law, Ohio State University, Tufts University, the University of Kentucky, UNC Wilmington, the University of South Carolina, Winthrop University, and many more. Our alumni are working around the world as authors, bloggers, editors, film makers, lawyers, journalists, business owners and executives, librarians, freelancers, marketing and advertising coordinators, media producers, military officers, professors, sports writers, teachers, technical writers, Web and software developers, public relations directors, Peace Corps volunteers, civil volunteers with Americorps and Teach for America, and more every day. They live and work in Mexico, Spain, France, Italy, Argentina, Canada, Ecuador, China, the UK, and throughout the US. Our minors allow students to combine their interest in language and culture with a major in business, health care, engineering, technology, communications, criminal justice, child advocacy, or nearly any other field. Our minors prepare students to research, analyze, create, and communicate more effectively across audiences and cultures. These skills can significantly increase career competitiveness, especially in the Upstate region which is one of the biggest centers for international companies in the United States. Languages, Literature and Composition faculty are honored to play an important role in the USC Upstate First-Year Experience through introductory courses in English Composition and World Languages and through the Preface First-Year Reading Program. Students at all levels can expect to have many opportunities for service learning or for working with community groups through many of our community engagement activities in world languages, global studies, writing and literacy. Follow us on Twitter @LLC_Upstate or stop by our office in the Humanities and Performing Arts Center Room 222 to find out more. Faculty and students in Languages, Literature, and Composition are committed to contributing to making the Upstate a great place to live. We deliver courses in writing, English for Speakers of Other Languages, Translation, Interpreting, French, Spanish, and Global Studies with service learning components that allow students to apply course knowledge in hands-on activities with community partners. We also deliver high-quality programming for teachers, K-12 students, businesses, and the broader Upstate community. and other special community partnerships and events throughout the year. Have an idea for a community partnership? We'd love to work with you. Contact us at 864-503-5688. 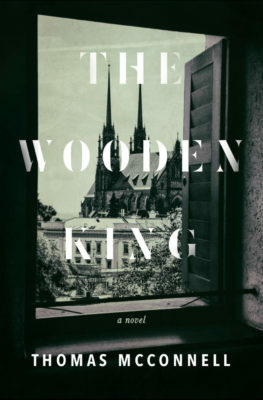 Finalist in the 2016 SC First Novel Prize, The Wooden King, by Thomas McConnell revisits Eastern Europe during World War II to explore the family and personal dramas of living under occupation and the threat of a war front that is closing in on home. Winner of the 2016 SC First Novel Prize, Ember, by Brock Adams is an apocalyptic thriller set in the Upstate region. As the sun begins to die, so do the human relationships and the interpersonal warmth that should hold society together. With the sun no more than a dying ember, the characters are left to re-discover what it means to love and to survive in a changed world. How do gender, race, class and culture affect the meaning of a text? Why is the social and historical context of a text important? Can digital media be analysed in the same way as a poem? 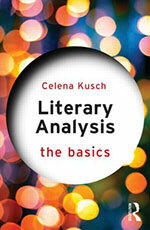 With examples from ancient myths to young adult fiction, a glossary of key terms, and suggestions for further reading, Literary Analysis: The Basics is essential reading for anyone wishing to improve their analytical reading skills. As in many literatures of the New World grappling with issues of slavery and freedom, stories of racial insurrection frequently coincided with stories of cross-racial romance in nineteenth-century U.S. print culture. Colleen O’Brien explores how authors such as Harriet Jacobs, Elizabeth Livermore, and Gertrudis Gómez de Avellaneda imagined the expansion of race and gender-based rights as a hemispheric affair, drawing together the United States with Africa, Cuba, and other parts of the Caribbean. 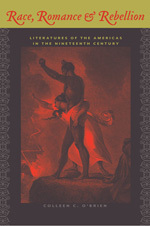 Placing less familiar women writers in conversation with their more famous contemporaries—Ralph Waldo Emerson, Margaret Fuller, and Lydia Maria Child—O’Brien traces the transnational progress of freedom through the antebellum cultural fascination with cross-racial relationships and insurrections. Her book mines a variety of sources—fiction, political rhetoric, popular journalism, race science, and biblical treatises—to reveal a common concern: a future in which romance and rebellion engender radical social and political transformation. USC Upstate's Preface First-Year Reading and Writing Program received a grant from Campus Compact's Fund for Positive Engagement. Students Rachel Forrest and Otis Thompson III were featured in a news story about the impact of the program published on GoUpstate.com. Spanish Instructor Maria Francisco Monteso joins the team to launch a new partnership with the Universidad Francisco de Vitoria Madrid in Madrid, Spain. Mother Emanuel Pastor from Emanuel A.M.E. Church in Charleston, SC, shares insights to better race relations as part of USC Upstate's Preface First-Year Reading and Writing Program. The Greenville News story about the event features photos and quotes from Rev. Eric S. C. Manning's address. Notices about the event appeared on NPR, the New York Times, the Associate Press, the Charleston Post and Courier, the Greenville News, and throughout South Carolina. English major Mason Turner speaks at Spartanburg's College Town panel on Brain Drain. 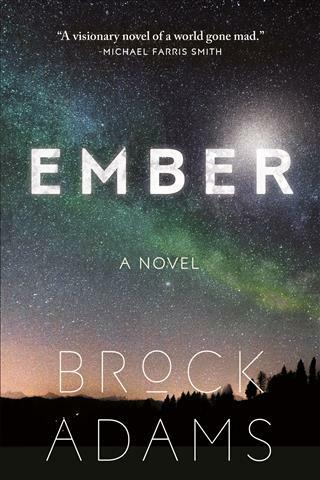 English Senior Instructor Brock Adams publishes Ember, a post-apocalyptic thriller set in the Upstate and winner of the 2016 SC First Novel Prize. Hub City Press hosted a launch party and the Spartanburg Herald Journal ran a story in the print newspaper. English and African American Studies Distinguished Professor, Dr. Warren. J. Carson was awarded the Carolina Trustee Professorship, one of the highest honors for a professor in the state. See featured photos of students studying Spanish in Alicante, Spain. Spanish students made up over 25% of the students studying abroad this summer. Sr. Instructor of Spanish, Douglas Jackson, speaks at the announcement of USC Upstate's Peace Corps Prep Program. Dr. David Marlow, professor of English, and Douglas Jackson, senior instructor of Spanish, bring students to Nicaragua and China for service learning and internships in teaching English to Speakers of Other Languages (ESOL) and Spanish. English professor Dr. Catherine Canino, along with New Global South Summit Committee members Dr. Araceli Hernandez-Laroche, Dr. Celena Kusch, and a panel of USC Upstate faculty members discussed the history and present of the Upstate's global culture. More details about the event appear in the Spartanburg Herald Journal. Thomas McConnell and Colleen O'Brien help make USC Upstate one of the top producers of Fulbright Scholars in the US. Dr. Araceli Hernandez-Laroche, assistant professor of French and Assistant Chair of Languages, Literature, and Composition, featured on Spartanburg Community Indicators Project Video, "Build a Better Spartanburg." Tara Bing is currently an Attorney Adviser for Social Security Administration Office of Disability Adjudication and Review. 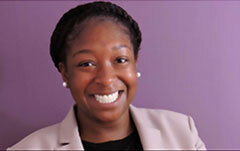 After graduating from USC Upstate in 2013, Tara began graduate school at the Charleston School of Law. In 2016, Tara graduated from law school, passed the South Carolina Bar, and was sworn-in as an attorney. She first served as a law clerk in SC Circuit Court for the Honorable Alison Renee Lee. "I believe that there are countless opportunities to use your English major in the real world. I decided to use my English major to become a lawyer, and I want to show others that an English major does not mold students into just one career path. The sky is not even the limit for anyone with drive and determination to make their dreams come true." Philip Davenport completed a BA in Interdisciplinary Studies with a focus on Studio Art and French at USC Upstate in 2013. He went on to earn an MA in International Studies (International Law and Organization) from the University of South Carolina Columbia the following year. 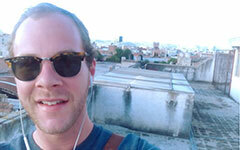 After completing his TEFL Certification, Philip lived and worked for Boston Academy in Léon, Guanajuato, Mexico. In July 2016, he received a professorship position at the Universidad Mariana in San Juan de Pasto, Colombia, and he has taught in Colombia and Mexico, where he plans to start his own English school in the coming years. "I owe all of my experiences, opportunities, and success to the professors and staff at the USC Upstate. During my degree program I received so much support from my professors, including Dr. Araceli Hernandez-Laroche (my mentor and friend). I remember the professors taking me under their wings and showing me what I needed to do to succeed. They offered me opportunities to teach, intern, and research, and without them I believe I wouldn’t be where I am today, chasing my dream of travelling and working around the world. Today, I feel lucky and extremely grateful for the inspiration, courage, and motivation that USC Upstate helped me find. My final words would be those that a great friend offered me right before I left for Mexico, she wrote in a card these simple words: 'Jump, and the net will appear.' Those words will always stick with me as I continue into the future, and I hope they speak to you as well." Travis Deberry earned his Bachelor of Arts in English from USC Upstate. Upon commissioning as a Second Lieutenant in 2012, he started off in the Army Chemical Corps as a platoon leader stationed at Camp Stanley, South Korea. Following Korea, he graduated from the Army Airborne School to qualify as a parachutist for my next assignment in Vicenza, Italy, where he was stationed for two years. Today he is an active duty Army Captain working in the Army Adjutant General Corps, which operates as the Army’s Human Resources branch. 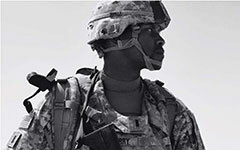 "The USC Upstate English program enhanced my critical thinking skills and prepared me for the professional writing requirements as an Army Officer. Officers must be effective readers and writers who are able to analyze and interpret Army doctrine, publish and issue operational orders, implement policies, and write scholarly articles that advance the profession of arms. Being able to analyze and deconstructing binaries are skills that I will continue to use and pursue throughout my life and my career." 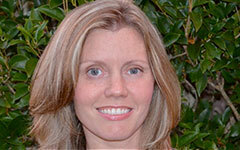 Tanya Newman has a Bachelor of Arts in English from USC Upstate, and a Master of Arts in English from Clemson University. She is an English Instructor and Library Specialist with Spartanburg Community College. Her short story, “The Only One,” was published by Gadfly Online. Her first novel, The Good Thief, was published by Black Opal Books in 2016, and her second novel, Winter Rain, was published in 2017. She has a third novel already on the way. "I feel immeasurably blessed to have studied in the English Department at USC Upstate because I found what I wanted to do for the rest of my life: write and teach. The path to this discovery would not be complete without the wisdom and inspiration from many professors, namely Dr. Marilyn Knight, Dr. Thomas McConnell, Dr. Donald Knight, Dr. Alan Chalmers, and Professor Jonathan Barker. Each ignited and re-ignited a love of literature and writing through courses like Creative Writing, Contemporary American and British Literature, Victorian Literature, and Women in Literature, and works like The Great Gatsby, The Sun Also Rises, As I Lay Dying, The French Lieutenant’s Woman, The Scarlet Letter, and Jane Eyre. I found a home in these classes and these works, as I did with the Literary Club and my work as a Features Editor with The Carolinian. My professors inspired me to do for other students what they did for me, which was inspire, enlighten, and enrich through literature. Studying writing and literature at USC Upstate is one of the best decisions I’ve ever made." 1. The student graduating in English at USC Upstate should be able to demonstrate a knowledge of literary periods, movements, genres, and authors that is informed by literary criticism, theory, and linguistic analysis. 1.1 Demonstrate an ability to situate and interpret texts in their historical and cultural contexts. 1.2 Utilize appropriate literary and/or linguistic theory in discussing the assigned texts. 2. A student graduating in English at USC Upstate should be able to analyze, synthesize, and evaluate a variety of texts. 2.1 Interpret meaning and significance based on close observations of details within and among texts. 3. A student graduating in English at USC Upstate should be able to communicate in a clear and concise manner for a variety of audiences. 3.1 Write with clarity and precision as appropriate for the given audience. 4. A student graduating in English at USC Upstate should be able to incorporate, engage in and utilize well-planned and well-executed research. 4.1 Critically engage the ideas of other scholars. 4.2 Incorporate research in writing about the assigned texts.